Welcome to San Marcos Premium Outlets, an outdoor shopping mecca offering an impressive collection of 145 luxury and name brand stores to include designer fashions for men, women and children, sportswear, shoes, jewelry, housewares and others. The shopping mall features outlet stores that cannot be found anywhere else within the sate of Texas. Shop exclusive brands such as Gucci, Prada, Victoria's Secret, Diane Von Furstenberg, Lululemon Athletica and more! Known as the gateway to the Texas Hill Country, San Marcos Premium Outlets® is conveniently located within a short drive from Austin, San Antonio and New Braunfels and is ideally situated at Exit 200 off of IH-35 at Centerpoint Road. Area attractions include Fiesta Texas, Sea World, The River Walk, The Alamo, Schlitterbahn and more. 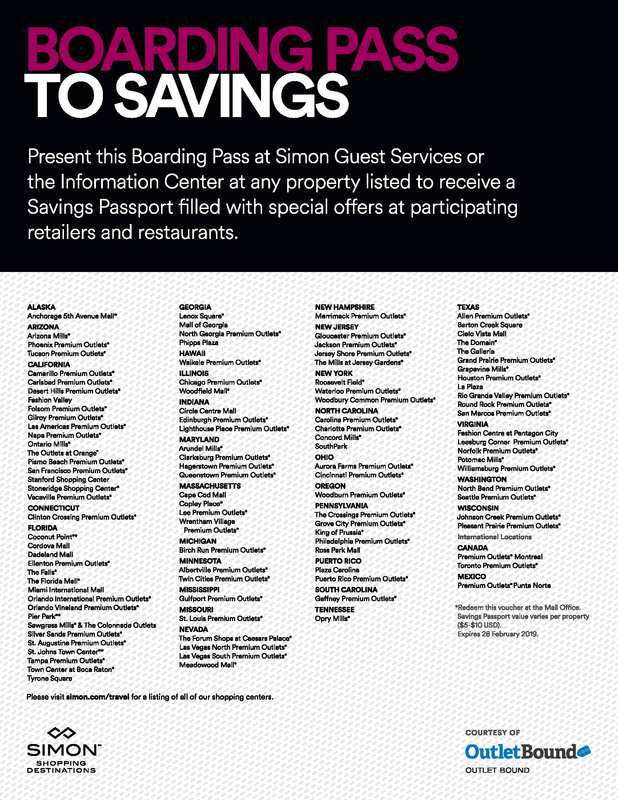 San Marcos Premium Outlets® offers an outlet shopping experience like no other.